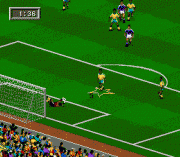 FIFA Soccer 96 (also known as FIFA 96: Virtual Soccer Stadium) is a video game developed by Extended Play Productions and released by EA Sports in 1995. It was released for the Mega Drive/Genesis, SEGA Saturn, SEGA 32X, SEGA Game Gear, PlayStation, SNES and DOS systems. 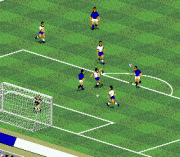 FIFA 96 is the third entry in the FIFA Series and its tagline was Next Generation Soccer. 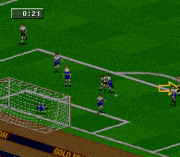 Also, the game was the first in the series to feature real-time 3D graphics on the Sega Saturn, PlayStation, 32X, and DOS versions, using technology called "Virtual Stadium". 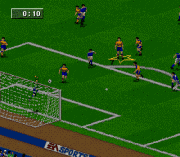 The SNES and Genesis editions used the FIFA 95 engine. It is also the first in the series to present players with real player names and positions, with ranking, transfer and team customisation tools. 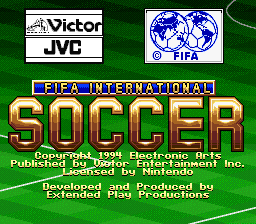 Many experts regard this game as the first really successful FIFA game.